We had a super Time ,Wife and Me. With a good bubbly,given by the Host. for Our Anneverssary. Thanks very match.Super Supriese! I liked the mountain views and surroundings - they have a little park with benches there to enjoy this. Place was clean and nice. The price was reasonable, lower than other places at Tamborine. New owners are lovely couple who were really friendly, hospitable and made us feel very comfortable. We had cozy spacious room with big comfortable beds that had electric heating blankets ! Great surprise in the fridge too. There was big portion of fresh bacon, eggs, butter and milk for breakfast. After spending all day in the mountain we enjoyed having our cup of tea at the gorgeous outdoor settings with views. They also own two adorable Ponies girls that happily come to meet and greet. The property is in the most beautiful spot in the great short distance to the centre but away from the rush at the same time. Even with short stay we recharged the amazing energy that this place is giving. I wish we could have stayed longer but there is always other time that we will come back for sure ! Getting the free breakfast was awesome. Cooked it while enjoying the amazing views. The views were breathtaking, the decor very country classic. Well kept and very neat. Amazing and friendly staff. Can't wait to go back. Excellent location. Easier to access both canungra (spring brook and lamington national parks) and Mt tamborine. Amazing host, she tried her best to keep us happy. The entrance to this property is not the feature so keep going to the back. The rooms are set out on top of a mountain and overlook fabulous views visible from your room. Accommodation is spacious and clean. the hosts are just wonderful. We had a few issues and they came to the rescue to help us out and we will never for get their kindness and consideration. This is a lovely quiet place for a couple or family, with roaming ponies, fireplace, picnic areas and comfortable rooms with wifi. Definitely priced well for a mountain getaway. Beautiful view and very quiet place, scenery was amazing. 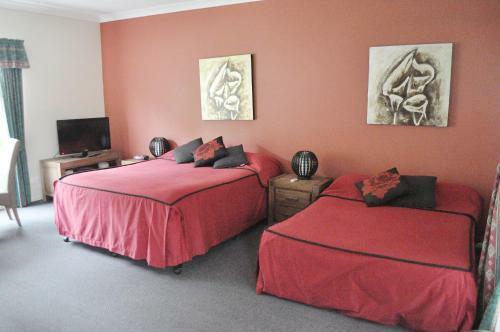 Lock in a great price for Aaronlee Retreat – rated 8.3 by recent guests! 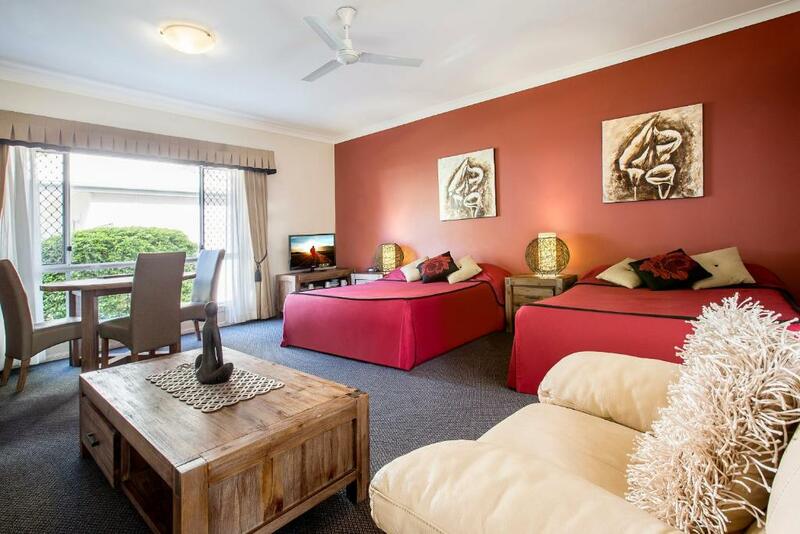 Aaronlee Retreat This rating is a reflection of how the property compares to the industry standard when it comes to price, facilities and services available. It's based on a self-evaluation by the property. Use this rating to help choose your stay! 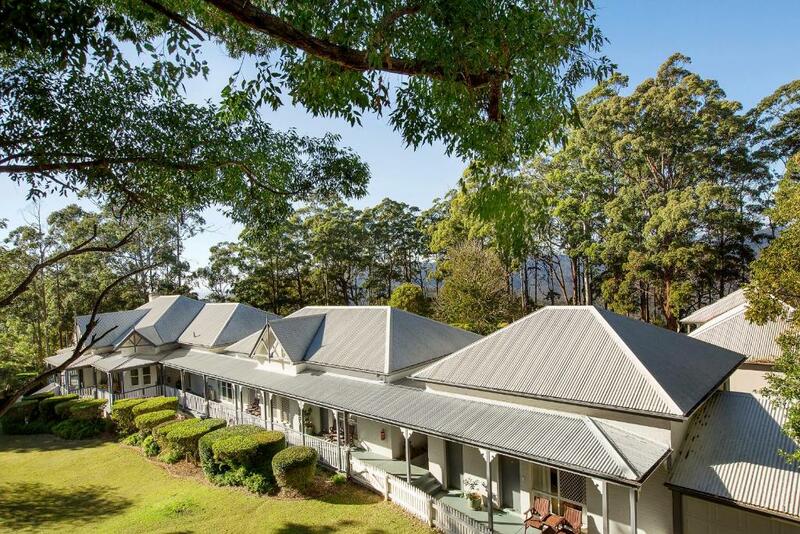 Aaronlee Retreat is located on the top of Tamborine Mountain in the Gold Coast Hinterland, with amazing views of the Gold Coast and surrounding mountains. It offers rooms with a kitchen or kitchenette. For breakfast included rates, bacon and eggs are provided for guests to cook themselves. 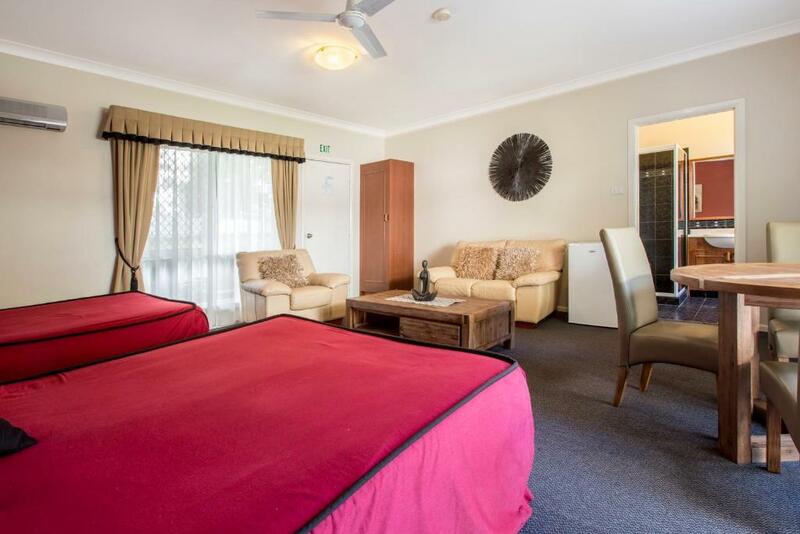 All rooms come with a large balcony or veranda and are equipped with a TV. Offering coastal or mountain views, they also come with a lounge and dining area. Some rooms offer a fireplace and spa bath. Set among 10 acres of lawns and gardens, Aaronlee Retreat offers an outdoor swimming pool and barbecue facilities. Other dining options are a 5-minute drive away. The property is a 15-minute drive to attractions such as Tamborine Rainforest Skywalk, Tamborine Mountian Distillery and MT Cheese Factory. A variety of vineyards are also within a 15-minute drive. Movieworld, Wet 'n' Wild and Dreamworld are a 20-minute drive away. When would you like to stay at Aaronlee Retreat? 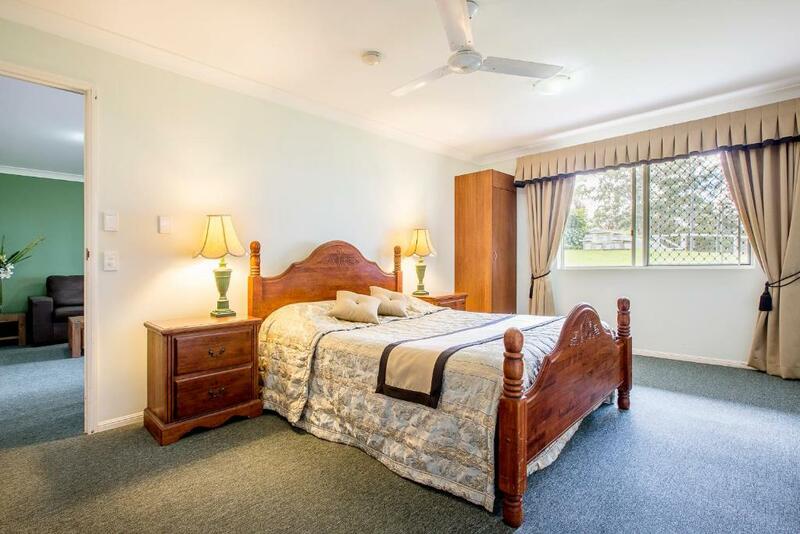 This 3-bedroom cottage features a full ktichen, fireplace, bathroom with spa bath and a large balcony offering stunning views of all the property, and the coastline of Surfers Paradise or the mountains. Please note that for breakfast included rates, bacon and eggs are provided for guests to cook themselves. This studio offers a kitchenette, a veranda and coastal views of Surfers Paradise or the mountains. It has a bathroom with a shower. 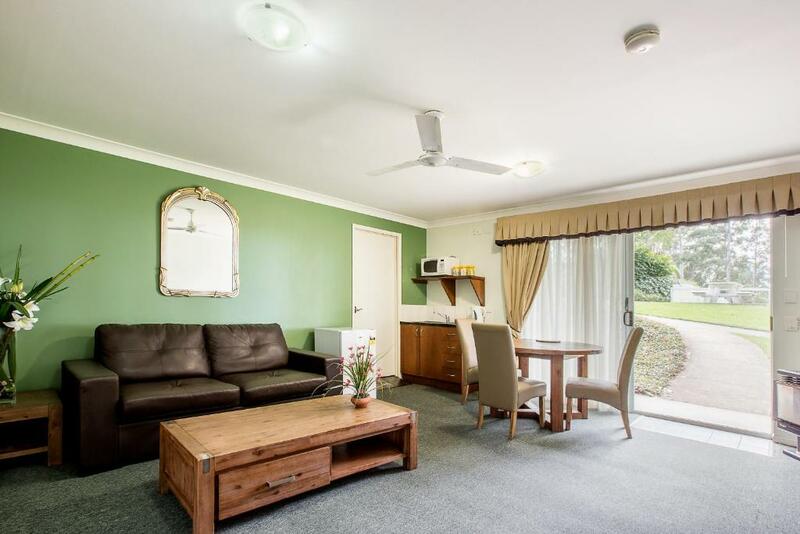 This one-bedroom suite offers a kitchenette, spa bath and balcony offering coastal views of Surfers Paradise or the mountains. House Rules Aaronlee Retreat takes special requests – add in the next step! 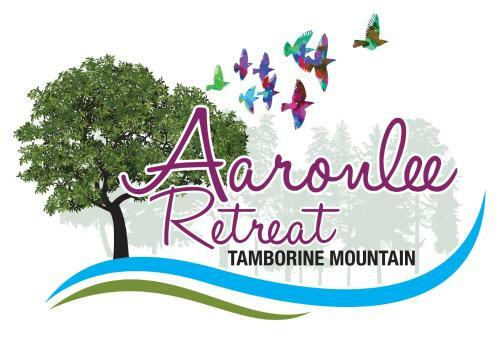 Aaronlee Retreat accepts these cards and reserves the right to temporarily hold an amount prior to arrival. Please note that Aaronlee Retreat does not accept payments with American Express credit cards. Please advise the hotel in advance if any additional people are staying to ensure the bedding configuration is correct upon arrival. You can use the Special Requests box when booking or contact the property using the contact details found on the booking confirmation. Everything was pretty ok. Would have liked a bit more refurbishment of existing facilities. Need a vacuum cleaner to keep the place clean as it does not provide daily housekeeping. Breakfast can be a bit better rather than just providing eggs, bread and bacon. Kitchen can be a bit better. Being told at 5.15pm that our laughter whilst playing cards was disturbing guests and we would have to be quieter. Views and ponies were great. Didn't like hearing the leaf blower when we were having a nap in the afternoon. Had to close the windows which made the room hotter. I thought this could have been done earlier in the day when there was no guests there. The pool steps were too steep without a handrail. Breakfast supplies and BBQ was good. In the most beautiful surroundings with fantastic views. So peaceful. The room was very spacious and comfortable. The breakfast was great. We got a very personal reception with lots of helpful advice. The walls were a touch thin and we could hear the couple next door for a lot of the evening. 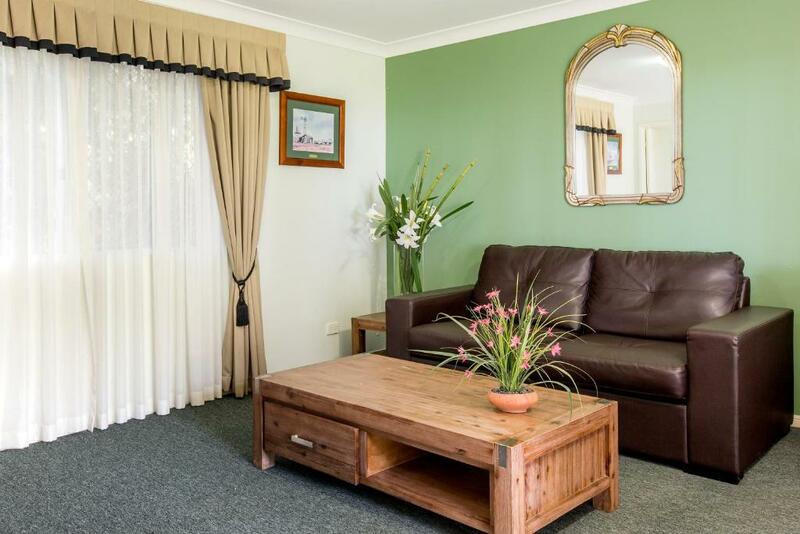 This spacious homestead offers a small retreat, perfect for a staycation in the gorgeous hinterlands. The staff were lovely, and the spa bath was an absolute treat! I would recommend this to anyone. A little bit far away from the main street but it was fine anyway. Very comfy bed. The view to the city was awesome!